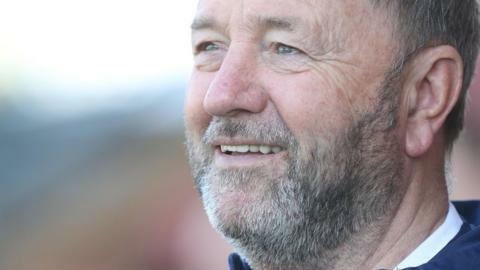 Torquay boss Gary Johnson says his team are "absolutely ecstatic" to win promotion back to the National League. Torquay United manager Gary Johnson says his side need to keep their heads as they close in on the National League South title. Torquay United boss Gary Johnson criticises the National League after their game with Chelmsford is called off late. Torquay United avoided relegation in 1987 in time added on after a player was bitten by a police dog. Watch highlights as Max Kretzschmar's 48th-minute penalty proves enough to earn Woking a win over Torquay United in the FA Cup first round. Struggling on the pitch and run by a "mysterious" chairman off it, Torquay United fans fear for the future of their club. BBC Sport meets former New Zealand striker Rory Fallon, who has left the game after retiring in order to start an ice cream business. Chris Todd: Why the former manager has quit professional football to coach students at his local further education college. How Steve Breed, the man who commentated on his favourite team Torquay United, became the club's chief executive. Where has it all gone wrong for the relegated League Two club funded by National Lottery winners?